The Olympic Games in Rio (Brazil) officially kick off with the opening ceremonies on August 5 which for us horse people, means live streaming the equestrian events starting with Eventing on August 6. And this year, one of our very own Team USA eventing horses has Maryland roots. Boyd Martin (PA) will be riding the off-the-track Thoroughbred Blackfoot Mystery, whose dam was bred right here in Maryland. Blackfoot Mystery had three racing starts, and ended up not being very successful, winning only $1,200 in his entire career. Born on April 30, 2004, the now 11-year-old makes his Olympic debut with Martin. Unlike her son, Blackfoot Mystery’s dam True Mystery was successful, with career earnings of $143,970 in only 13 starts. Although Blackfoot Mystery was bred in Kentucky, True Mystery was bred right here in Maryland by David P. Reynolds. She is by the Breeders Cup Classic winner Proud Truth. True Mystery’s dam, Small Gaylord, was a very well-known filly also bred by David P. Reynolds and she was purchased by Worthington Farms in Glyndon at the end of her racing career. Small Gaylord had career earnings of $65,682. Small Gaylord’s sire, Lord Gaylord, was owned by Worthington Farms and spent his entire stud career there. He won the Tesio Award as Maryland’s best stallion in 1989 and also sired Eclipse Award winner Lord Avie as well as 32 other stakes winners. Lord Gaylord’s sire, Sir Gaylord, was a very famous racehorse bred in Virginia, who earned $237,404 in his career before being injured just before the Kentucky Derby where he was the 1962 favorite. He stood in the U.S. until 1972 when he was sent to Haras du Quesnay in France, where he died in 1981. Although Blackfoot Mystery’s bloodlines have great racing ties, it is his post-racing career that has everyone excited about the Olympics. He is now owned by the Blackfoot Mystery Syndicate and Martin took over the ride just last year. The two finished tenth their first time out together in the Open Intermediate A division at the Millbrook Horse Trials (NY) last July. 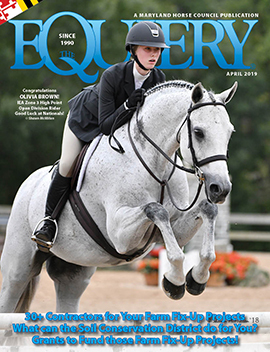 From there, they placed fourth in the Advanced A division at the Five Points Horse Trials (NC) in September. Martin and Blackfoot Mystery jumped around the CIC3* at Plantation Field International (PA) to finish ninth just a week later. In October, they placed 17th at Morven Park’s Fall Horse Trials (VA) in the Advanced AA division before placing sixth at the Fair Hill International Three-Day Event CCI3*. This year, the pair started the season with a fourth at Pine Top (GA) at Intermediate in February. The Carolina International CIC3* (NC) in March ended up not being the best showing for the pair; they finished 36th but they more than made up for that the next month, winning the Advanced division at The Fork (NC). Also in April, Martin and Blackfoot Mystery jumped brilliantly around the Rolex Kentucky Three-Day Event CCI4* (KY), placing sixth. Heading into the Olympics, Blackfoot Mystery is currently ranked eighth in the U.S. Eventing Association Top Horse leaderboard. 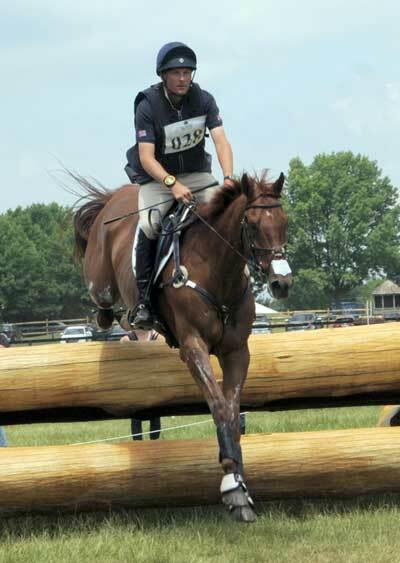 Martin is second on the — USEA Top Rider leaderboard, just a few points behind fellow U.S. team member Phillip Dutton.